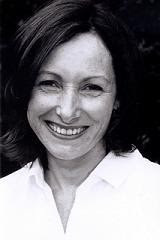 Today I am pleased to welcome Sue Walker, an Australian author, to The Book Chook. Sue is here to give us some tips about involving our kids in writing. I love to get ideas from adult writers that children can use in their own stories, and I know Sue has done both writing workshops and school visits. Book Chook: Sue, what tips do you have for young writers? Sue Walker: Some kids find it difficult to come up with ideas for stories, but that’s actually the easy part. Ideas come from everywhere, and often they come from our own experiences. That’s where kids should start looking for ideas. They know what it’s like to be a school kid better than any adult. They could write about the funniest thing that happened in class, the saddest thing, or maybe they could write a story about a sport they’ve played, or being the new kid, or eating lunch…or anything. Another tip for young writers is to keep a diary or journal. But their journal shouldn’t be a log of everything that happens. It should be a record of the interesting stuff. That’s what people want to read about. What made us laugh? What made us sad, or angry, or some other emotion? Note down funny incidents and interesting people and places. A journal is a store-house for ideas. BC: On your website, in the FAQ page, you tell kids to read because it's "learning to write without thinking". Does that mean you want them to switch off mentally when they read, not analyse the story? SW: That’s right. Children should read for pleasure, but while they’re reading, their subconscious works to make sense of the story. If they read often, I believe story writing skills follow naturally. They’ll know instinctively that stories have characters, and that those characters speak to each other, and that there’s a setting, and some kind of story ‘problem’ etc. Analysing the text to find out what makes it work can come later…if they’re interested. BC: What's the single most important thing parents can do to help their child be a good writer? SW: Encourage a love of reading by starting early. Read to them when they’re babies, and continue into early childhood and beyond. Read from a variety of genres – fantasy and fairytales are a wonderful way to develop imagination. BC: At what age do you think we should start our kids writing? SW: Be guided by your child. You’ll know when they’re ready – when they show an interest – when they have the ‘stamina’ to put lots of words on the page. You can start by playing games. One of my favourites is to write a story by alternating between parent and child. The adult starts by writing one sentence and the child writes the next, and so on. I call it Ping-Pong writing. BC: Ooh, love the sound of Ping-Pong writing! You've done writing workshops with kids. Is there any tried and true activity you've used that kids really responded to? Would you share it with us? SW: One activity that kids really enjoy is “Mystery Objects.” I reveal six mystery objects, and ask the children to choose one or two and write a story about them. I’m often inspired by their creativity. BC: What objects have you used? I'd love to know. SW: I try to use objects that are open-ended – that present a question. For example I might show them a package. Kids can’t help but wonder what might be inside it, where it came from, who it’s for. The story possibilities are numerous. BC: How has the explosion of technology impacted children's writing? Is technology something you think parents can use to help motivate their kids' writing? SW: Hmm….tricky questions. I think technology has had an impact on children’s writing. Computers have replaced pen and paper for older children, and some younger ones too. But this has its benefits. Now kids can craft and correct their writing in a way that wasn’t possible in the past. They have dictionaries and thesauruses at their fingertips, and Email is a fun, easy way to send letters to friends and relatives around the globe. Older kids who may never have taken an interest in writing are hooked into social networking sites and blogs, and I see these as another forum to express themselves through writing. I think too, that phone texting is impacting the way kids write. They’re learning to be much more concise, to say only what needs to be said, and that’s a valuable writing lesson. All this technology can be a great way to encourage kids to write, but we need to exercise common sense. As a writer, I’d find it impossible to work without technology, but I’m aware that it can very easily become a distraction. Sometimes, nothing beats a pen and paper when I’m hashing around ideas. BC: Sue, Walker Books recently published your novel, Arnie Avery. Can you tell us a little about it? What age range do you think it will appeal to, and where can we find it? 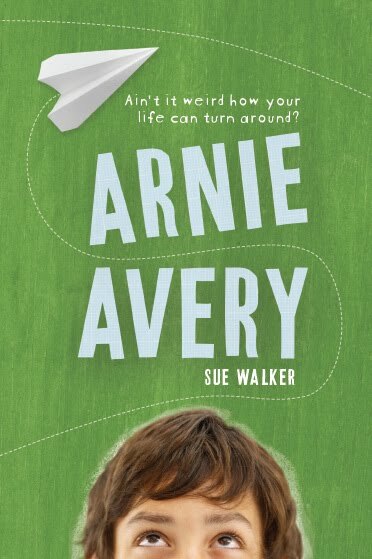 SW: Arnie Avery is a story about a 13 year old boy who has a few serious problems. One of them has to do with fighting the school bully, and the other has to do with his family. Arnie’s humour, combined with his worries and triumphs, make the book suitable for children 8-13 years. It’s available at most bookshops from June, or online at Booktopia and Boomerang Books. BC: Thanks so much, Sue, for sharing these great tips to help enthuse kids about writing! Encourage your kids to read because it's "learning to write without thinking". That is the best quote of the week! True! And it really highlights the reading/writing link, too.